Trufab Farm Machinery will be at this year’s Wagin Woolorama Field Days, one of Australia's largest and most impressive agricultural expos. 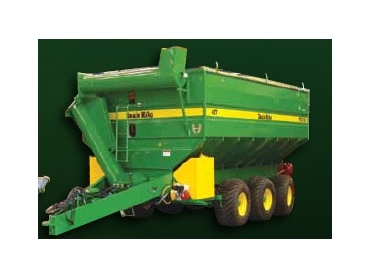 Trufab Farm Machinery will be displaying everything from their 110T Field Bin to the 18T Chaser Bin Trufab at this popular show. Visitors are sure to be impressed by all the new improved features on display, such as the new elevator delivery system and the new Poly Chute. Whether you are looking for new Field Bins, Chaser Bins, Chaff Carts or refurbishing existing machinery, Trufab has the lot. It truly is a reliable one stop farm machinery shop.